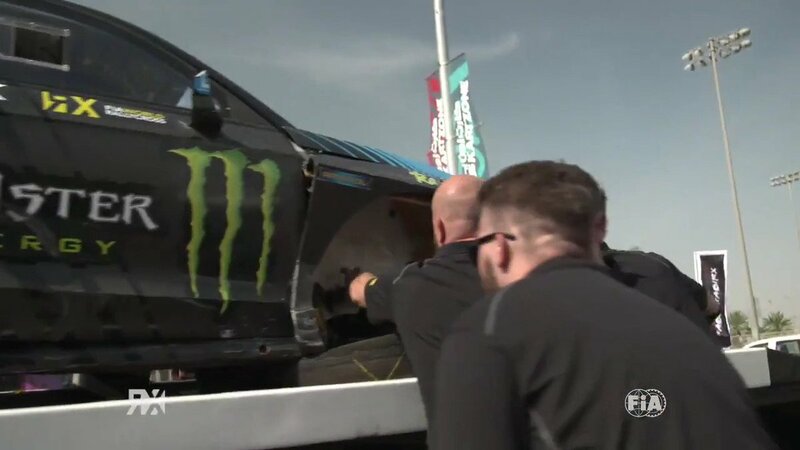 Norway’s Andreas Bakkerud completed an impressive comeback performance in the second round of the FIA World Rallycross Championship at Montalegre in Portugal, setting fastest time in Q4 to make it into the semi-finals. Petter Solberg was second fastest in Q4 and is Top Qualifier in the Intermediate Classification. He will start from pole position in semi-final one later this afternoon and will be be joined on the front row by his team mate, Johan Kristoffersson. Mattias Ekstrom will start the second semi-final from pole as he targets making the final in Portugal for the first time, joined by France’s Sebastian Loeb who won his race in Q4, setting the third fastest time. America’s Ken Block finished second to his Hoonigan Racing Division team mate Andreas Bakkerud in Q4 and was fourth fastest to also make it into the semi-finals. Bakkerud will start in on the third row of semi-final two, Block on the third row of semi-final one. Latvia’s Reinis Nitiss passed Ekstrom in Q4 with a clever joker lap strategy make it three EKS Audi S1s in the semi-finals as Finland’s Topi Heikkinen won his race in front of Barcelona RX podium finisher Timo Scheider to make the cut, in 12th. The STARD team has both cars in the semi-finals for the first time, Janis Baumanis and Timur Timerzyanov eighth and 15th in Q4 to be sixth and ninth in the Intermediate Classification. Like EKS, Team Peugeot-Hansen has three cars in the semi-finals, Kevin and Timmy Hansen seventh and eighth in the Intermediate Classification. Timmy Hansen overtook Timerzaynov in the final corners of Q4 and will join Loeb on the grid for semi-final two, Kevin in semi-final one.